The company says its concept vehicle will sport six electric props and feature wings that rotate 90 degrees to enable vertical takeoff and landing. Autonomous vehicles have only just begun to navigate our streets and already the world’s innovators are setting their sights on the next big transportation trend. Uber plans to create a network of flying taxis in Dubai and the Dallas area by the year 2020. Kitty Hawk – a flying car startup created by Google cofounder Larry Page – is already offering test flights to potential customers. 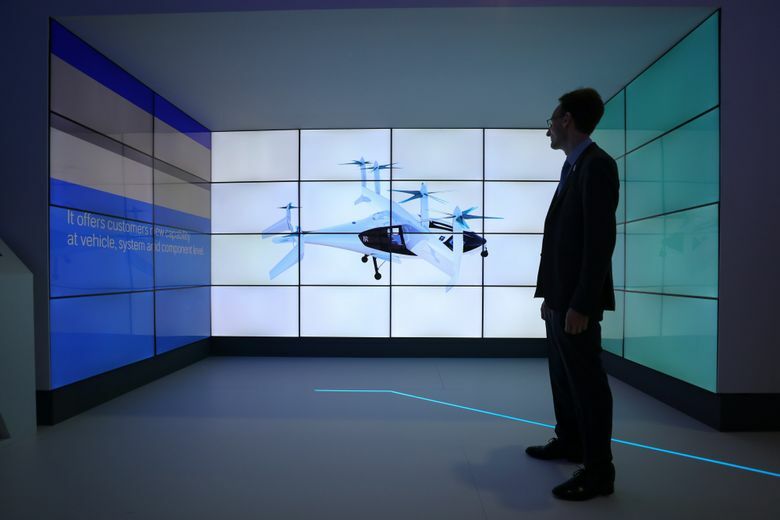 This week Rolls-Royce entered the fray, unveiling a concept electric vertical takeoff and landing vehicle at the Farnborough International Airshow in Britain. The vehicle could carry as many as five passengers at speeds up to 250 miles per hour for approximately 500 miles, according to Rolls-Royce. Rolls-Royce said the vehicle could be airborne as soon as the early 2020s, but the company said it plans to create a vehicle prototype within the next 18 months. The British-based company makes commerical jet engines. Referring to Rolls-Royce as “pioneers,” Watson added that the company was among the first to develop turbo-prop and jet engines. Rolls-Royce Motor Cars – a company owned by German car manufacturer BMW – is not associated with the effort to create flying taxis. 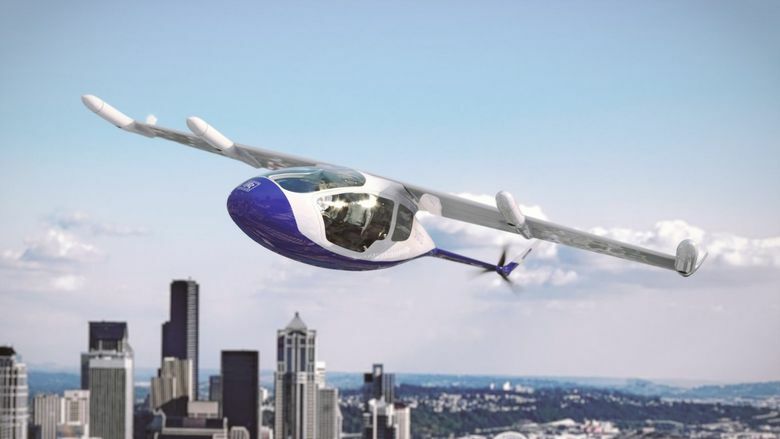 The company said its concept vehicle would be powered by six electric propulsors “specially designed to have a low noise profile.” To take off or land vertically, the company said, the vehicle’s wings would rotate 90 degrees. Once the craft reaches its cruising height, its vehicle’s propellers would fold away and the craft would rely on several rear propellers for thrust. Rolls-Royce said the vehicle would fill a niche created by overtaxed transportation systems in increasingly crowded cities. Watson told Agence France-Presse that he envisions an electric version of the vehicle moving passengers around a city but a hybrid propulsion system carrying passengers longer distances, such as between London and Paris. The company noted that the vehicle could be adapted for military purposes as well, though no detail was provided. “Electrification is an exciting and inescapable trend across industrial technology markets and while the move to more electric propulsion will be gradual for us, it will ultimately be a revolution,” Watson said. David Stewart – an aviation and aerospace adviser and partner at Oliver Wyman – told AFP that the aerospace environmental industry is reacting to a push to become less reliant on fossil fuels.